We’ve worked our way through 30 of the best drip coffee makers on the market and whittled them down to 12 that were worth reviewing. Interspersed with these reviews, we’ll serve you up with plenty of useful information to help you get that perfect golden cup of coffee the easy way. Drip coffee makers are basic but highly effective. Using one of these machines is straightforward. You pour your water into the reservoir. This flows through a hole and into a tube in the heating element. As the element heats up the aluminum tube, the water boils and the bubbles climb up a second tube. Water surges up into the drip area where it drips nice and evenly onto the coffee grounds before finishing up in the pot ready to serve. Capable of making multiple cups, drip coffee makers are flexible, efficient and produce mighty fine coffee. Our joint top choice for the best overall coffee maker. For a large and effective drip coffee maker modeled on the pour-over brewing method, take a look at the OXO On Barista Brain. Complete with a Freshness Counter, you can enjoy your coffee before it spoils with absolute confidence. Our best value drip coffee maker, the Bonavita makes 8 – 10 cups of top-tier coffee without breaking the bank. With a thermal carafe for your convenience and a pre-infusion mode to optimize your coffee, try one today and you won’t be disappointed. For a super-sized drip coffee maker capable of making 14 cups, the Cuisinart PerfecTemp is hard to beat. Easy to clean and very straightforward to use, the Cuisinart gives you a great deal of bang for your buck. The Moccamaster KBT is expensive but worth every cent. For the perfect golden cup of coffee coupled with a thermal carafe to keep it warmer for longer, check out the KBT today. If you want a superb coffee maker with a grinder thrown in, look no further than the Breville Grind Control. With outstanding functionality and flexibility, the Breville might not be cheap but it represents fantastic value for money and gives you coffee just the way you like it. The second Moccamaster drip coffee maker topping choice is a superb 10-cup brewer, this time with a glass carafe. You’ll get more automated functionality with the same first-class coffee. You can’t go wrong with Technivorm coffee makers. For a no-nonsense drip coffee maker that is simplicity itself, the BUNN BT Velocity is well worth a look. 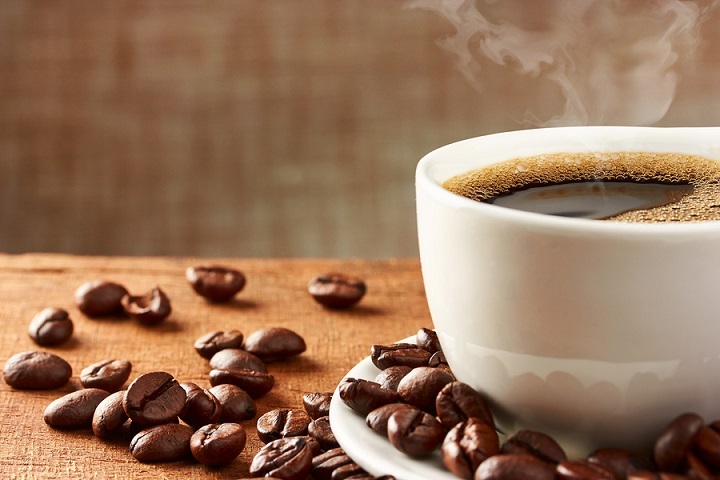 Get 10 great cups of coffee without needing to head to Starbucks. The thermal carafe keeps it warm for longer, too. For a great value drip coffee maker with a neat thermal carafe from a brand you can rely on, why not road test the Bonavita BV1800SS? It’s a minimalist machine that looks great and performs just as well. Getting a cost-effective drip coffee maker capable of using pods or ground coffee from a reputable brand is possible! For anyone on a more limited budget, we strongly recommend the Hamilton Beach 49980A. It punches far above its weight. For another competitively-priced drip coffee maker with a thermal carafe, Mr Coffee offers this 10-cup system. With a range of features normally found on pricier machines, you get a lot of bang for your buck with this Mr Coffee. Our third value coffee maker is another great machine from Hamilton Beach. Get programmable functionality and a tasty cup of coffee on demand without needing to take out a bank loan. Try the BrewStation today! OXO makes a range of coffee makers and this 9-cup model delivers coffee reminiscent of that produced with the pour-over method. We discuss this approach below. If you insist on fresh coffee moments after waking, the timer really comes into its own. Simply hold down the OXO button, set the time you want your coffee along with the number of cups and it will fire into action on demand. Water temperature is regulated so you will always get your coffee in its peak state. There’s another timer known as a Freshness Counter indicating clearly how long the coffee has been sitting there. This means you can drink up if time is running out. This counter maxes out at 60 minutes. A neat silicone tube makes sure that the coffee is mixed evenly. With a rainmaker showerhead like the shower in a nice hotel, the water will be evenly sprayed over the coffee grounds so the flavor is fully extracted and you’ll get your coffee at its very best. Cleaning is a breeze. You can remove the parts and they are all dishwasher-safe. You even get an indicator letting you know when it’s time to descale. Certified by the SCAA, you know you’re in safe hands and will get first-rate coffee every time. Although the OXO is not cheap, the best things in life rarely are. It’s a strong contender for the best drip coffee maker and well worth popping on your shortlist. After the best of OXO, we’d like to offer up the best value drip coffee maker, the Bonavita BV 1900TS. Straight off the bat, the one thing that can ruin a coffee above all else is a poor brewing temperature. With a poky 1560w heater, you can be assured the temperature is spot-on. The Bonavita surges to the desired 198 – 205 Fahrenheit range and stays there as your coffee brews. Although this drip coffee maker is marketed as an 8-cup machine, you’ll actually end up with the same quantity of coffee as other leading 10-cup machines offer. This is because Bonavita base their figures on a 5oz cup rather than the smaller 4oz measurement used by much of the opposition. An excess of unnecessary features on drip coffee makers is becoming an unwelcome trend. The Bonavita sticks to what it does best and in return you’ll get a scaled-down machine that punches out perfect coffee day in day out. Once your coffee is ready, there’s a sound to alert you so you won’t need to watch it like a hawk. The thermal, stainless steel carafe is far preferable to a fragile glass alternative. Make sure your coffee stays warmer for longer without worrying about breakage. Thanks to the flat bottom of the filter basket and the enlarged showerhead, saturation is improved along while extraction is optimized. If you’re a real coffee geek, you’ll revel in the pre-infusion mode. This is optional and wets your freshly roasted coffee so it has plenty of time to degas before you get down to brewing. In keeping with many value products, you’ll get what you pay for with little by the way of extras. If that keeps the price down, it’s fine by us. The added advantage is that the absence of a clock, timer, hotplate or any other fancy add-ons means that build quality is rock solid and there are far fewer moving parts to go wrong. Put simply, if you’re on the trail of the best value drip coffee maker, the Bonavita BV1900TS will deliver in fine style. We fully understand that money is tight and that not everyone wants a ruthlessly expensive drip coffee maker. With that in mind, our next featured product is the best drip coffee maker under $100, the Cuisinart DCC-3200AMZ. There are a couple of 12-cup options but we rolled with the 14-cup range-topper, tailor-made for even a sprawling family. We know you don’t always want or need a huge flagon of coffee. Just hit the button on the far right and enjoy 1-4 cups for those occasions where there’s less need for caffeine. While some mid-range drip coffee makers seem almost bereft of features, the Cuisinart strikes a wonderful balance. You get a simple control panel and the ability to program the things you need without being swamped by unnecessary bells and whistles. Cleaning your drip coffee maker can be a real chore. Just remove the charcoal filter then pop some water and cleaning liquid in the reservoir. White vinegar is a smart choice in a 1:1 ratio with the water. Press and hold the Cuisinart’s Self Clean button then let it do its thing. Just run a couple of pots of hot water through, replace the filter and you’re back in business. This helps take care of descaling. For regular cleaning, the carafe, filter and filter basket are all removable and dishwasher-safe. Many drip coffee makers are one-trick ponies forcing you into buying multiple packs of coffee unless everyone in your household has the same palate. With the Cuisinart’s nifty Brew Strength Control, you can make adjustments to the strength with absolute ease. One thing to note is that the Cuisinart is a fairly substantial drip coffee maker. This is not surprising, really, in light of its capacity. Bear this in mind if you live in a smaller apartment or somewhere with limited kitchen counter space. If you fancy a superbly reliable drip coffee maker and an extremely affordable price point, pop the Cuisinart DCC-3200AMZ on your shortlist. 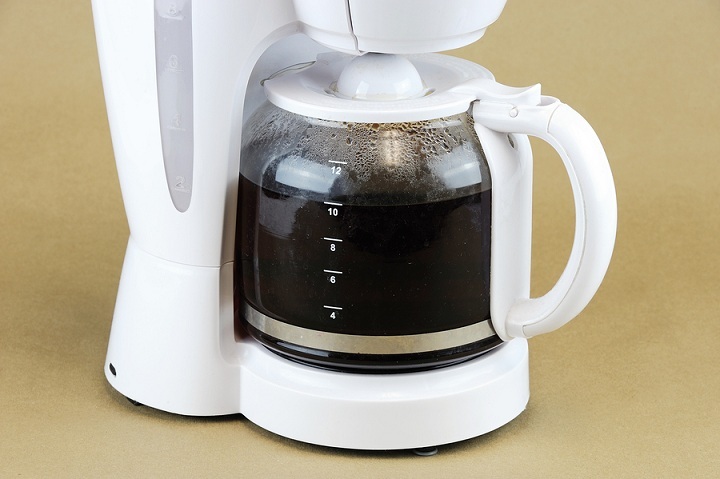 It gets our vote hands down for the best value drip coffee maker available today. Technivorm, a Dutch company, was founded back in 1964 and is a brand you can trust when it comes to coffee makers. In a world of mass-produced tat, Technivorm’s Moccamaster KBT is a breath of fresh air. Handmade from top-notch materials, the KBT is also 100% recyclable. You can do your bit for the environment while enjoying the perfect coffee. Many drip coffee makers fail to brew the water at the correct temperature. With a neat copper heating element, the brew always fall in the recommended range of 196 – 205 degrees Fahrenheit. Once the brew cycle is done, it will shut off automatically. The transparent water reservoir lets you keep on eye on the progress of your coffee without messing around. Many drip coffee makers seem to take an eternity to give you what you want. The Moccamaster KBT is a quickfire operator. The full brew cycle takes somewhere between 4 and 6 minutes so it’s great when you need your caffeine fix in a hurry. If you’re heading out, you can leave the remainder of the pot for your family to enjoy. You can get up to 10 40oz cups from your machine which should be ample for even larger families. The outlet arm has 9 holes punched through it guaranteeing an even saturation of your coffee. It’s touches like this that set the Moccamaster apart from some of its lesser rivals. The stripped-down functionality is actually a good thing. Sometimes, fancy coffee makers can be so loaded with features that it’s confusing. 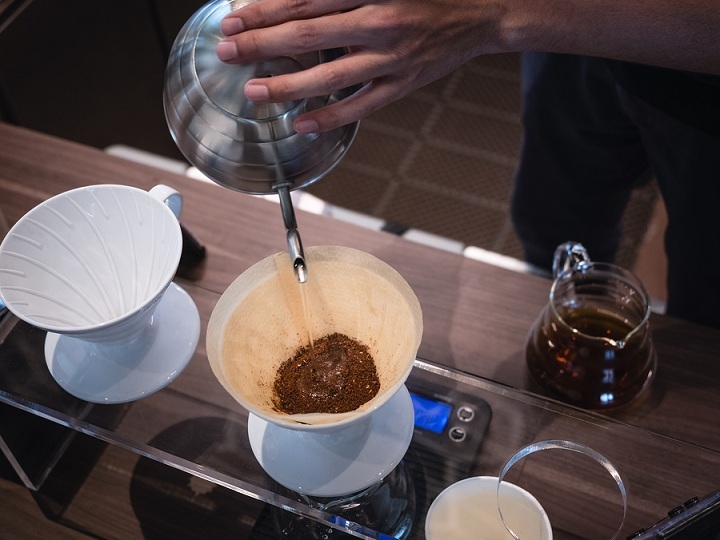 The simple manual switch lets you choose between a full or half pot (4-6 cups or 8-10 cups) and, that aside, it’s simply a case of letting the machine do its work. 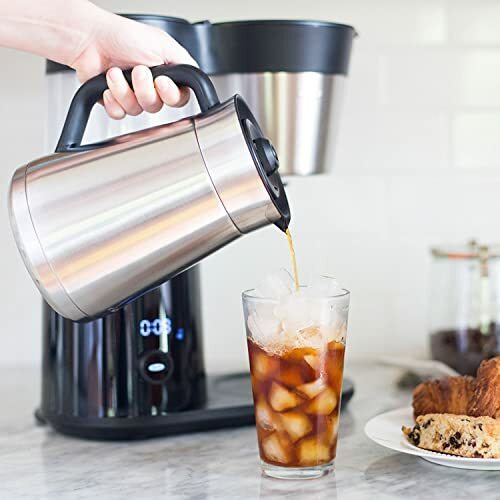 If you like leaving some coffee to hand while you work or relax, the stainless steel thermal carafe will keep it at drinkable temperature for about an hour and a half. For anyone with the budget to spare and the desire for the best drip coffee maker money can buy, our strong recommendation is Technivorm’s Moccamaster KBT. With a 5-year market-leading warranty thrown in, what have you got to lose? The minimalist black and silver design will not be to everyone’s taste but the coffee certainly will! And that, ultimately, is all that counts. this short video is worth mentioning. You can get a great overview of how to ensure that you get that hallowed golden cup of coffee and how to get the very best from your Moccamaster drip coffee maker. Not only can you enjoy the ability to brew up 12 full cups of coffee in a pot, you can also get the convenience of a single serve machine in one hard-hitting unit. Whichever method you prefer, you can also fine-tune the strength from regular to strong. Separate reservoirs that you need to top up with cold water lets you keep things simple. The transparent window shows you clearly when it’s time for a refill so there’s no guesswork or messing around. There’s a digital clock which is easy to read and fully programmable. If you want coffee brewed at a predetermined time, simply ensure the reservoir is topped up with cold water and punch in the time up to 24 hours in advance. Often, cleaning coffee makers is so much hassle it puts you off doing so resulting in degraded performance. Blitzing your Hamilton Beach is a breeze so you can keep on top of maintenance and get that golden cup of coffee every time. If you want the shotgun service of a single cup using either K Cups or fresh coffee grounds and the convenience of brewing up an entire pot and leaving it to warm, the Hamilton Beach FlexBrew is the obvious solution. If you like grinding your own coffee beans and want the convenience of a drip coffee maker and grinder rolled into one, check out the impressive Breville BDC650BSS. This is certainly not a cheap and cheerful coffee maker but it serves double duty with no need for a separate system. Also, you’re also buying into the brand heritage of the reputable Breville. Considered in those terms, it doesn’t seem like such bad value after all. You don’t always want to brew up a steaming carafe of a dozen cups. The Breville allows you to scale back so you can make a single cup. If you like cream in your coffee, you can adjust the settings so there’s room for that rather than finding your cup filled to the brim then needing to pour some coffee out to accommodate. Touches like that make all the difference. Another size-related feature is the handy removable drip tray. Many people like a large mug of coffee and there’s nothing more tiresome than spending out good money on a coffee machine only to find your favorite cup doesn’t fit. Just slip out the Breville’s tray and the problem’s solved. As an added bonus, it also simplifies cleaning. The auto-start feature is perfect if you want to be greeted by an immediate cup of coffee when you climb out of bed. The LCD screen is not just for show. It feeds back useful information such as water levels, the strength of your coffee, grind size and timings. It’s easy to navigate and equally simple to read. Controlling the temperature lets you experience that golden cup each and every time regardless of whether you use water from the tap or the freezer. The thermal carafe keeps your coffee warm for long enough to enjoy a continual stash of ready-to-drink caffeine. With the integrated grinder, you can avail yourself of fresh beans ground just the way you like them without needing another bulky unit to clutter up the kitchen. For the best drip coffee maker with grinder, look no further than the Breville BDC650BSS. We decided to include the KBT’s stablemate, the Moccamaster KBG 741, in our best coffee maker category. There are some slight differences between these 2 models which we will address below. It’s pointless to rehash the areas in which these very similar drip coffee makers mirror each other. You’ll get the same hand-tooled quality and a staggering array of colors if the standard black doesn’t quite go with your kitchen color scheme. With the KBG, though, there’s a glass carafe in place of the thermal one. The thermal alternative is arguably better for keeping the flavor of your coffee optimized but it’s not for us to make that choice for you. What we will say is that Technivorm have tweaked the soleplate so the coffee will not become acrid and the flavors will not be spoiled. Where the KBT needs to be manually switched to the closed position, the KBG 741 has a Stop and Serve option. Just remove the carafe, pour and you’re good to go. While you perhaps get less control than you enjoy with the KBT, you won’t need to remember to make adjustments either so it’s a question of personal taste. The dual-phase element keeps the temperature hovering in the 176 – 185 degree range and shuts off after 100 minutes for safety and economy. You’ll get High and Low settings so you can switch between 45w and 60w modes. You use regular type 4 filters so you won’t need to scour around for specialized accessories. If this seems like too much hassle, you can opt for permanent gold filters instead. If you are always after that elusive golden cup – the perfect cup of coffee – certification from the 3 leading bodies in the industry should tell you all you need to know. While drip coffee makers can sometimes leave something to be desired, the Moccamaster KBG 741 punches above its weight. In all other respects, from brewing through to the finished product, the Moccamaster KBG 741 is the same as its thermal brother. Before moving away from Technivorm, this short video is worth mentioning. 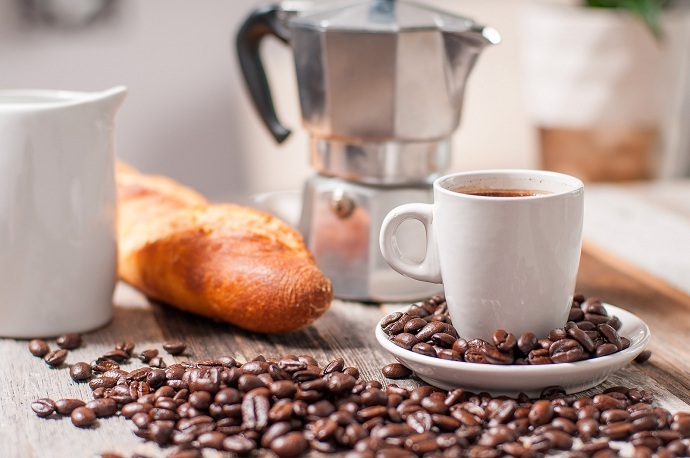 You can get a great overview of how to ensure that you get that hallowed golden cup of coffee and how to get the very best from your Moccamaster drip coffee maker. If the idea of the 10 cup Moccamaster seems like it would be too much to handle and you’re tempted to start hunting down the best 4 cup or 5 cup coffee maker, remember that you can tweak the Technivorm machines so they make half a pot. Check out this freeze frame from the video which shows you how to adjust your Moccamaster for a smaller serving. Our next all-purpose drip coffee maker is the BUNN BT Velocity, a 10-cup thermal machine at a reasonably keen price point. Since BUNN has been producing these machines for over 50 years, it’s nice to get great value combined with a brand you can trust. Speed is the main selling point with this drip coffee maker. You can have coffee in your cup in just 3 minutes. Thermal carafes are the smart solution if you want your coffee to keep its flavor and warmth for longer. There is seemingly an issue with the carafe leaking when it’s time to pour. It can be awkward to do this without coffee spilling out. Fortunately, we’ve found a solution. Many people claim that using Dawn dishwashing soap to clean the lid, seal and spout of the carafe stops the leakage. Don’t ask us how but it seems to work! If you are looking for a feature-rich coffee maker, the BUNN is not for you. If, on the other hand, you want fresh and tasty coffee double-quick, it’s a wise choice. To say the features are limited is something of an understatement. There’s not even a switch! The only issue here is that the coffee will brew even if the carafe is not in position so exercise caution. For a cheap and effective drip coffee maker stripped back to basics, give the BUNN a shot. If you like your machinery simple, this coffee maker is just the ticket. If you’re looking for something a little more advanced, look elsewhere. The last of our general drip coffee makers before we move on to some more cost-effective options, another great machine from Bonavita, this time the BV1800SS. Bonavita has a hard-won reputation for producing stellar coffee makers at an affordable price. The BV1800SS is no exception. If you want a coffee machine laden with computer-driven functionality, a drip coffee maker is probably not your best bet. If, however, you prize a fantastic cup of coffee without any unnecessary fanfare, give the Bonavita a whirl. This model differs from the base 1800 since it has a thermal carafe. As we have outlined, this is preferable to the glass alternative so think about whether this is something of interest to you and buy accordingly. We are not here to give you the hard sell on any specific product. Get what’s right for you. Cleaning drip coffee makers can be tiresome. With the Bonavita, you can take it apart and pop the components in the dishwasher without worrying about any damage. The plastic parts are BPA-free so you can rest securely knowing you won’t harm yourself either. While the uprated carafe is a lovely touch, the showerhead is another often-overlooked part with drip coffee makers. The large design on the BV1800SS ensures that your grounds will be nice and evenly saturated. For a bargain basement drip coffee maker that will deliver a sterling cup any time you want it, check out the Bonavita today! As we approach the end of our best drip coffee maker reviews, it’s time for a trio of cheap options for anyone who wants that golden cup of coffee experience without breaking the bank. Cheap doesn’t need to equate to poor quality. Hamilton Beach produce functional appliances that are more than fit for purpose without bankrupting you. At a glance, the programmable machine looks like it should cost far more than its modest price tag. The 49980A gives you the option of brewing a single cup or a full pot of 12 cups. There’s a glass carafe included for the full coffee experience. For single servings, simply use your favorite travel mug. Although you can program the Hamilton Beach, settings revert to default when you switch it off which is rather annoying. That said, it’s easy to use yet feature-heavy so a real win-win. Pouring from the carafe is a dream. So many drip coffee makers fail roundly here and you end up with a kitchen surface covered with coffee. Whatever the speed of pour, it’s spillage-free with this excellent drip coffee maker. The power of the hot plate is questionable. If you make a full pot and intend to leave it hanging around you might be disappointed. With the option of using either pods or ground coffee and also being able to fine-tune the strength, this drip coffee maker is great for families with varying palates and preferences. Overall, if you keep your expectations in check and want a solid, dependable coffee brewer without busting your budget, think long and hard about this Hamilton Beach drip coffee maker. Our next budget-conscious drip coffee maker comes from Mr Coffee and is worth further investigation if you want something serviceable but affordable. For a cheap machine, the thermal carafe is a nice touch. This retains heat far better than a glass carafe and usually comes on much more expensive machines. You can enjoy up to 10 cups of coffee in well under 10 minutes. If you like to have a pot to hand as you relax or work away, it will stay warm for a couple of hours. The buttons are easy to use and the Freshness Timer lets you monitor how long your coffee has been sitting around without needing to reach for a stopwatch. A Delay Brew feature gives you the chance to brew up in advance so your coffee will be ready on demand. If you want to do all your cleaning in the dishwasher, you’ll be disappointed as the carafe is not suited to this method. You’ll need to clean it by hand so be aware of this before buying. The interface, auto shut-off and overall look of this drip coffee maker could fool you into thinking it costs much, much more. The proof of the pudding is in the tasting, though. Sadly, this is where some users complain about this machine. Ultimately, only you can decide how much of a coffee purist you are and how much you prize aesthetics and features over the raw taste. It’s a reasonable machine but not one we would go out of our way to urge you to buy. The last in our drip coffee maker reviews, another entry from Hamilton Beach, a superb 12-cup system known as the BrewStation. The enclosed system sidesteps the need for a carafe and is a great way to save space while delivering top-notch coffee just like a conventional drip coffee maker. The BrewStation is easily programmable without the interface overwhelming or confusing you. User-friendliness is so often overlooked in the constant search for more features. Hamilton Beach gets the balance just right. For early risers who insist on coffee ready and waiting, the programmable brew system steps in to save the day. On the downside, the design means that if you store this coffee maker underneath a cupboard or cabinet, you’ll need to drag it out when you want to add your coffee. Think about this and whether or not it will present a problem. We can’t answer that for you as everyone has a different level of tolerance for minor inconveniences like this. Overall, if you want decent coffee served rapidly without spending three figures, check out the Hamilton Beach BrewStation. It could be just what you were waiting for! Choosing the highest rated coffee maker can seem riddled with problems. As we mentioned at the beginning, you can choose from a whole host of different coffee makers, all of which come with their own techniques for achieving that golden cup of coffee. For an inexpensive and extremely low maintenance solution to coffee making, the classic French press shows no signs of fading in popularity. You’ll get a heavy, dense coffee that’s best decanted immediately after brewing. Fail to do this and you run the risk of a bitterness and chalky consistency spoiling the effect. Our drip coffee maker reviews above should give you all the information you need to know about this candidate for the best coffee maker. A moka pot is a dinky stovetop coffee maker that’s remarkably understated yet capable of delivering top-tier coffee. Italians refer to moka pots as macchinettas. The coffee is produced when boiling water is pressurized by steam then passed through the grounds. 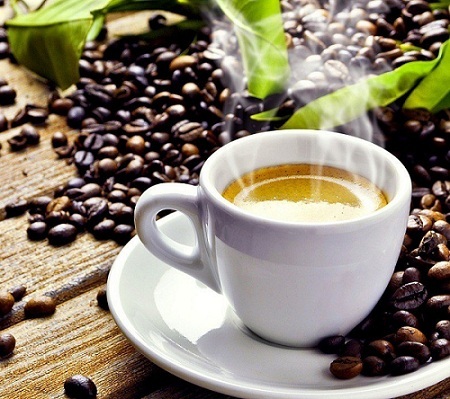 Espresso is a finely ground coffee boiled with a little nearly boiling water. Since it has the same amount of caffeine as a larger cup of coffee, the taste is stronger. 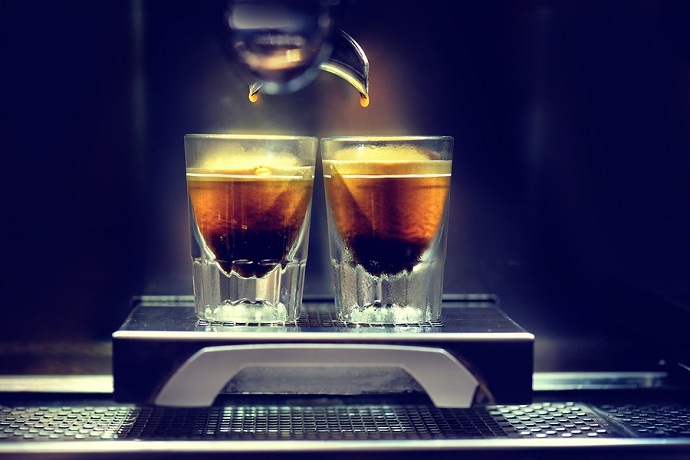 Served in tiny cups, espresso is arguably coffee in its purest form. 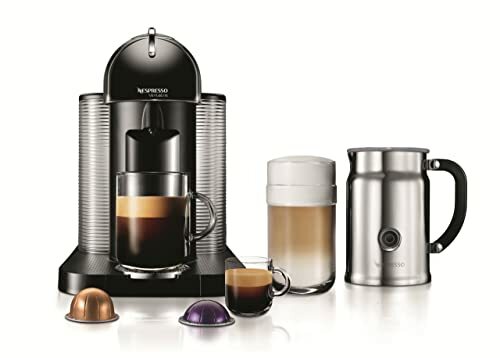 Nespresso machines offer the quality of an espresso machine without the inconvenience. You use pods or capsules of coffee so you have no mess, no fussing around and a coffee shop caliber of coffee delivered on demand. Vacuum coffee brewers are also commonly called siphon brewers. You might be wondering what on earth these siphon brewers are or you might have spotted one in some of the more trendy coffee shops. Although they look confusing, the method is actually quite old and works very well. While some are fairly expensive, you can now buy vacuum coffee makers without spending a fortune. To be perfectly honest, instant coffee has no place whatsoever in a look at the best coffee makers. Sometimes, though, needs must and a quick cup of instant coffee is better than nothing. If you insist on using this type of coffee, make sure to invest in a quality brand. Auto Shut Off: Are you forgetful? Do you often leave appliances on and then get distracted only to find them boiling over? If so, shoot for a drip coffee maker with auto shut-off so this kind of nightmare is a thing of the past! As we near the end of our best drip coffee maker reviews, we’ll round out with a very brief guide to getting the best from your drip machine. 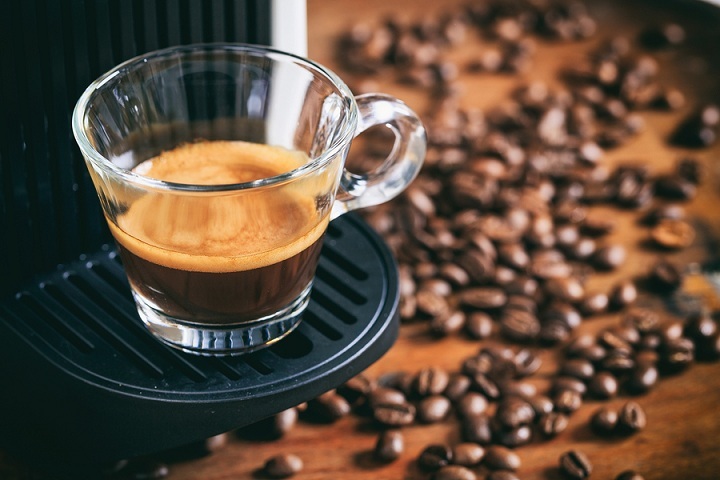 With all coffee machines, it’s pretty tough to offer a definitive How To for the simple reason that machines vary considerably but we’ll give you some general advice that holds good. You’ll be working with a slight disadvantage since a drip coffee maker can slightly impair the flavor of your coffee. Combat this by getting the freshest possible beans. Having them ground is not necessarily a smart idea. Coffee spoils quickly. Stick with whole beans and shoot for a medium roast. The extraction process is where coffee gets its flavor and aroma. This happens when the hot water goes through the ground beans. When the extraction process is too quick, it results in weak coffee. The reverse scenario leads to bitterness. The speed of extraction is dictated by the fineness of the grind. For flat bottom and gold filters, a medium grind is ideal. Cone shaped filters work well with medium or fine grinds. A cup of coffee is largely comprised of water. Do your coffee justice by making sure that water is of decent quality. Filtered water is perfect.It’s important to experiment until you’re happy with the water to coffee ratio. 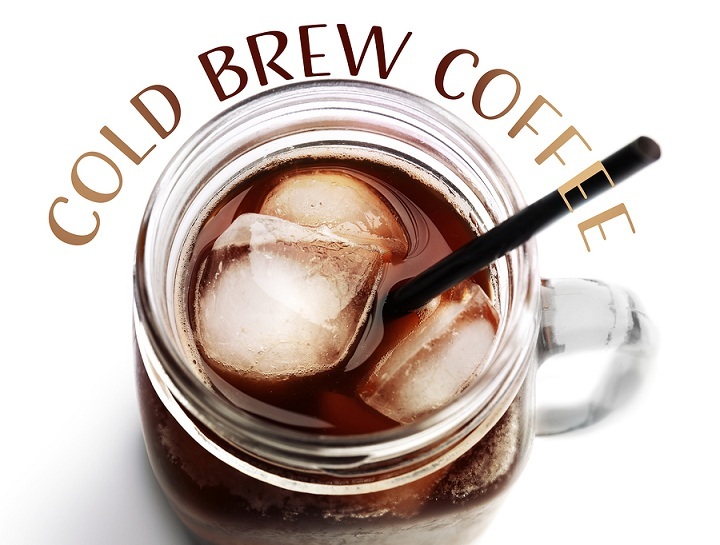 This depends to some extent on taste but as a rule of thumb, use 1 or 2tbsp of water for every 6oz of coffee. When you have a glass carafe, you should always remove it from the warming plate once your coffee has brewed. If not, the coffee is liable to scorch and become bitter. A thermal carafe is the best solution. The pot should be cleaned on a daily basis with fuller maintenance conducted monthly. If you take note of the above, there’s no reason the best drip coffee maker won’t give you many years of service! We very much hope you’ve enjoyed our coffee maker reviews. You should have a solid overview of what makes these coffee machines tick along with a sound idea of the best drip coffee maker for your needs. To recap, if you are looking purely for the best drip coffee maker regardless of price, opt for one of the Moccamasters. Technivorm only make coffee machines and have done for half a century so you know you’re in very safe hands. We love to hear from our readers and we always try to give you what you want. If you have any feedback or there’s anything you’d like us to cover here at Fourth Estate, please don’t hesitate to reach out. We’re always more than happy to help. OXO makes a range of coffee makers and this 9-cup model delivers coffee reminiscent of that produced with the pour-over method. Certified by the SCAA, you know you’re in safe hands and will get first-rate coffee every time. As the Premium Quality coffee maker got rating 5 out 5 I would also choose this one. It is the best among all and not that much expensive too in my sense. And it is also so easy to make coffee within seconds by it. So obviously it would be the best.